A first for us as we have never been on a cycle tour before & are new to cycling. We thoroughly enjoyed the trip, the pace was just right and we found the guide and the drivers to be very friendly, helpful, and encouraging - we would definitely consider another tour. Our fourth tour with redspokes and it will not be the last. The information supplied before the tour was really very good. The guide Mr Elle (Al) and his wonderful team of drivers/assistants were excellent and always ready to deal with any issues quickly. We were provided with a constant supply of cold drinks, fresh fruit, biscuits and crisps on the regular stops en route. A pleasant cycle down the coast of Thailand passing through some beautiful scenery, riding through traditional fishing villages and plantations producing latex from rubber trees and some growing bananas and coconuts. Regular stops to meet the local Thai people, often at work in the fields or processing coconuts. Thanks redspokes for an inspirational trip. I’ve been keen to visit Thailand for several years - the cycling, views, culture, food and company did not disappoint. I cannot think of anything negative to say about cycling around south Thailand. It never felt like we were in a rush or being pushed from A-B. There were varying levels of fitness, but never any feeling of competition or one up manship. The food was good, the group atmosphere was fantastic. I will definitely use Red Spokes again. Absolutely wonderful trip, new adventures every day, so much to see as we cycled past. We just loved cycling off the beaten track, on quiet routes. The views and wild life were awesome. Al, our guide, so knowledgable and Tao, our driver, mechanic, snack provider, cold drinks of every sort at our request. We couldnt give one highlight of the trip - just loved it all. Al & Tao gave us a lovely experience - a trip to remember. Thanks as always to Red Spokes for a great experience. I'll be back! 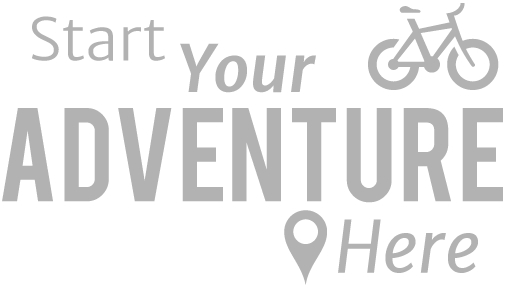 This trips a great cycling experience for people who want a relaxed tour and new to cycle touring. The Thailand cycle tour was exactly as it was promoted - a perfect balance of activity and relaxation. The cycling was enjoyable rather than extreme, covering. 670km along quiet back roads and coastal routes. We also had plenty of oppurtunites to swim in the sea, with the highlight of the trip for me when we all went for a dip during a coffee stop on an unspolit small bay on the way to Ban Krut! Quite frankly I loved every minute of the tour and I think it will be a hard one to beat! This was my first cycle organised tour and it was monumental. The tour leader David was very attentive, knowledgeable and switched on, and the support provided by the local Thai cycle company was good. The other guests were also very keen and interesting. The preparation for the tour by David was thorough, the daily agenda was perfect. Accommodation and food was very adequate and allowed us to really enjoy the Thai way of life. 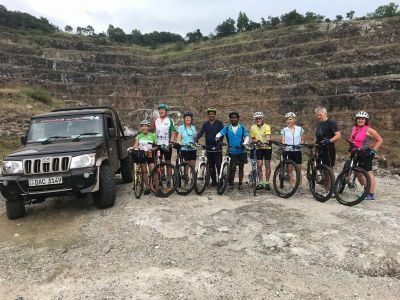 I would recommend this tour to adventurers who like plenty of cycling (on 2 days we did over 100km), and a close look at Thai people and their country.